David N. Hernandez is the managing attorney of Lerner and Rowe’s Albuquerque, New Mexico law office. He earned his B.A., M.B.A. and J.D. from the University of New Mexico. David also earned an M.P.A. from Harvard University. He served as president of the New Mexico State Bar from 2000 to 2001. 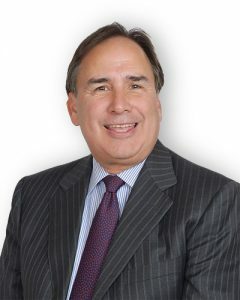 His primary areas of practice are litigation, Construction law, bankruptcy, and elder law. David is admitted to practice before the U.S. Court of Claims, U.S. District Court and the 10th Circuit Court of Appeals. He is a member of the State Bar of Arizona and the State Bar of New Mexico and is AV Preeminent rated by his peers. He is also an adjunct instructor at Central New Mexico Community College (CNM) where he teaches Introduction to Legal Research and Writing and Introduction to Law. Contact David by email, or you can talk to anyone in our office. Contact us. Don’t wait! We look forward to speaking with you. We also answer our phones 24/7.